On the National Register of Historic Places, this depot was dedicated on July 4, 1907. The Laramie Hahn’s Peak & Pacific Railroad was built to bring tourists to the area from Laramie’s Union Pacific line. 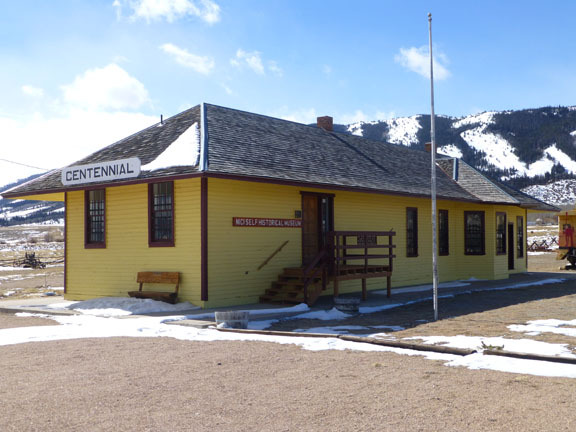 It was donated to the Centennial Valley Historical Association by the Union Pacific on October 9, 1974 and moved to the museum grounds on May 25, 1975. It’s open to visitors and contains the majority of our displays.